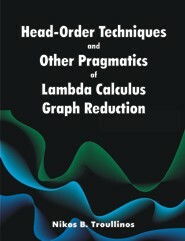 The operational aspects of Lambda Calculus are studied as a fundamental basis for high-order functional computation. We consider systems having full reduction semantics, i.e., equivalence-preserving transformations of functions. The historic lineage from Eval-Apply to SECD to RTNF/RTLF culminates in the techniques of normal-order graph Head Order Reduction (HOR). By using a scalar mechanism to artificially bind relatively free variables, HOR makes it relatively effortless to reduce expressions beyond weak normal form and to allow expression-level results while exhibiting a well-behaved linear self-modifying code structure. Several variations of HOR are presented and compared to other efficient reducers, with and without sharing, including a conservative breadth-first one which mechanically takes advantage of the inherent, fine-grained parallelism of the head normal form. We include abstract machine and concrete implementations of all the reducers in pure functional code. Benchmarking comparisons are made through a combined time-space efficiency metric. The original results indicate that circa 2010 reduction rates of 10-100 million reductions per second can be achieved in software interpreters and a billion reductions per second can be achieved by a state-of-the art custom VLSI implementation.